Combine first 5 ingredients in a large bowl. In a separate bowl, combine mayonnaise and remaining ingredients, stirring well with a whisk. Add mayonnaise mixture to chicken mixture, tossing well to coat. 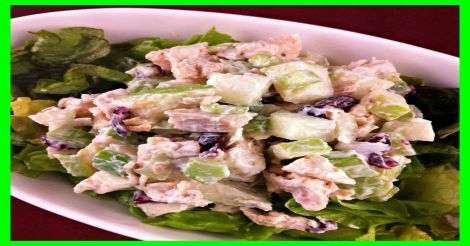 *This recipe is also good when sliced red grapes are substituted for the dried cranberries. *If preparing this recipe as gluten free, just be sure to use a brand of mayonnaise that is designated as GF.